OnePlus has always been a fan favorite when it comes to development, and the newly released OnePlus 6 is no different. There is a vibrant community of people working on bringing cool stuff to the device. 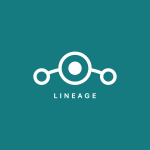 Thanks to the work of XDA Recognised Developer LuK1337, you can now download an unofficial build of LineageOS 15.1 for the OnePlus 6. While there are still some issues, as to be expected, there are none too serious that you can’t use it as a daily driver. The alert slider doesn’t fully work at the moment and HWC2 color transform is broken as well. Other than that, it appears that all functionality is present. If you’re interested in giving it a try, you can check out the forum thread below for a download link and instructions as well on how to install it. LineageOS 15.1 has a huge amount of features, and many will prefer it over OnePlus’ stock software.